Another year, another boat show! This year the Atlanta Boat Show runs from January 14 – 17, and we would love to see you there! Lake Homes Realty corporate staff and local expert real estate agents will be available throughout the entire show and look forward to discussing all things lake living. In the past two years, we have met hundreds of lake lovers, marveled at the best in class boats, and met vendors for all kinds of lake related items, and this year should be bigger than ever! Thinking About Buying on the Lake? If you are thinking about buying a lake home, we want to make the process as easy as possible! LakeHomes.com now has more than 32,000 properties for sale across 200+ lakes. We will have local, specialized lake agents from states across the South, including Alabama, Georgia, South Carolina and North Carolina! Some of the lake expert agents who are attending will be from lakes including Lake Lanier, Lake Jackson, Lake Allatoona, Lake Martin, Lake Hartwell and more. Our agents know the ins and outs of their lake market and will be more than willing to help you find a lake property that best fits your needs. 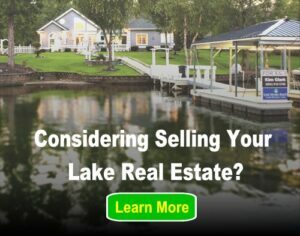 Have you used LakeHomes.com to find a property or used a Lake Homes Realty real estate agent? We want to hear about your experience! Stop by the booth, and tell us your story. Or, even if you have not used our services, just drop by, and tell us all about your lake experience. We always love to hear about your lake, and why it is special to you. The Atlanta Boat Show is an annual event held at the Georgia World Congress Center and features more than just boats for sale. This year’s Kid Zone will feature face painting, balloon art, a bouncy area, trout fishing and other kid friendly events. For the older kids (like mom and dad!) there will be attractions such as the Miss GEICO speedboat, a giant aquarium for bass fishing, a sailing simulator, live music and so much more! There will also be educational opportunities and special classes on DIY boat maintenance and repair, as well as other topics such as fishing and boat safety. The show will be 11 a.m. to 9 p.m. this Thursday (1/14) and Friday (1/15), 10 a.m. to 9 p.m. on Saturday (1/16), and 10 a.m. to 6 p.m. on Sunday (1/17). 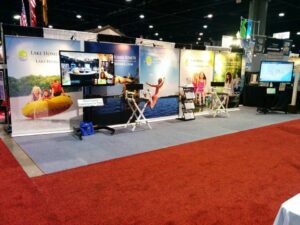 The event takes place at the Georgia World Congress Center, hall C.
Lake Homes Realty will be located in the same space as the last 2 years, in booth 332. We look forward to seeing you there!